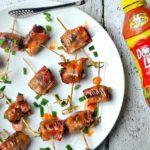 If there is one food item that sums up my life as a thirty-something mom, it’s ginger. I discovered it a few years ago and never turned back. Ginger is always the finishing touch to my stir fry, the star of my carrot soup, the essential ingredient to my afternoon tea, and the secret ingredient to any chicken marinade. Also, those few times a year when I drink soda pop, it is usually ginger-ale. My husband Greg jumped on the flavored bubbly water craze and one day, showed up at home with a CO2 tank from a local bar supply store. He keeps it our basement, and we have fizzy water on demand, whenever we want. I don’t drink fizzy water nearly as much as he does, but I must say that it has been fun playing around with different flavors. 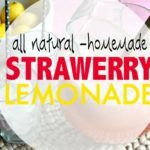 I love putting fruit and herb combinations in my fizzy water, and have even gotten into creating some homemade syrups too. I mentioned above, that ginger is usually an ingredient in my afternoon tea. Well, that is because ginger is a natural remedy for heartburn and other digestive issues. Ginger Ale was originated in Ireland and has always been used as a home remedy for indigestion. 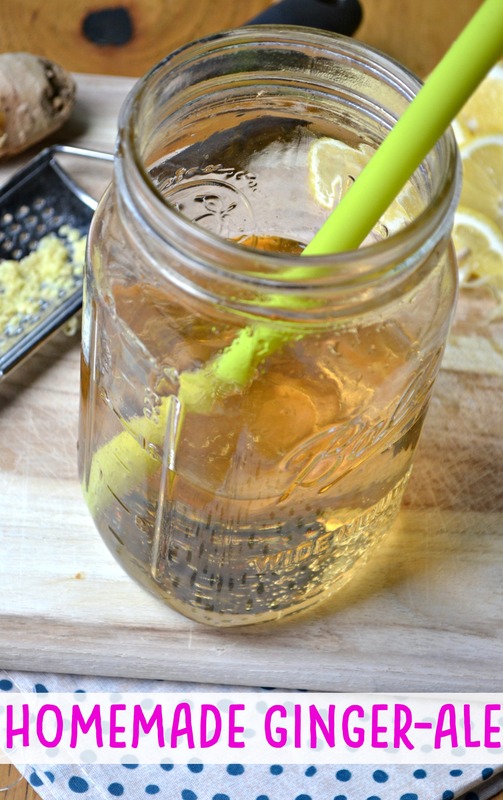 People were making homemade ginger ale long before it was marketed as soda pop. 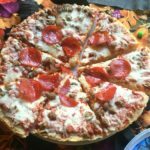 When I started getting frequent heartburn last summer I knew that it would be a good idea to change some things in my diet. I started avoiding foods that cause indigestion and also started drinking ginger tea and ginger ale too. I love managing these unpleasantries with a natural approach. I started putting Holigos in my afternoon ginger drinks. I love the feeling of never feeling bloated or uncomfortable. 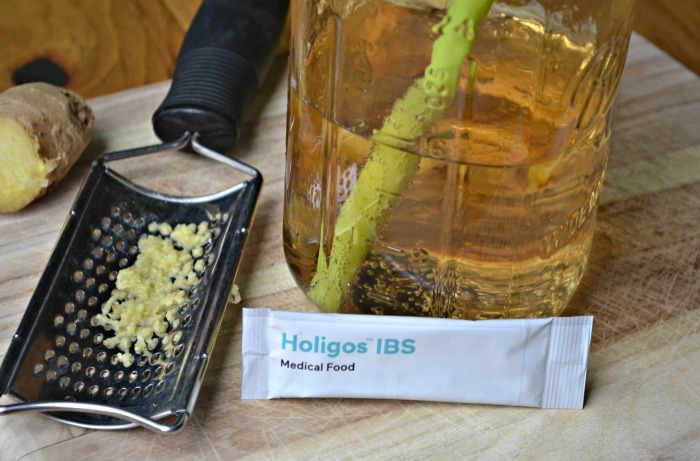 Holigos Helps you nutritionally manage IBS symptoms including abdominal pain, bloating, diarrhea and constipation, so that when I put Holigos in this ginger ale, I do get the ultimate tummy soothing solution! 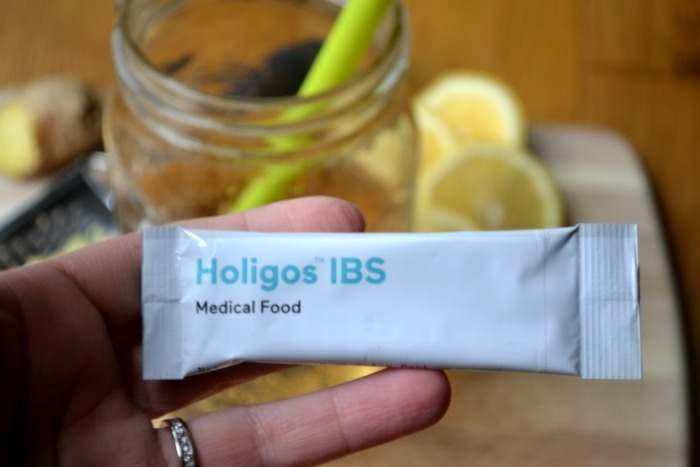 Holigos™ IBS is a new, non-prescription product formulated with Human-Natural Oligosaccharides, and was created to improve gut health, and creating a balanced immune system. People who have taken Holigos have experienced a decrease in discomfort associated with IBS. Holigos IBS is clinically proven to reduce IBS symptoms from severe to mild. 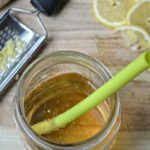 Making this ginger ale simple syrup is easy and is so much more delicious than the store-bought variety. Plus you can add Holigos right into your drink for an extra dose of comfort! 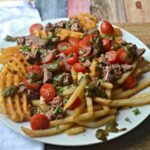 Learn more about Holigos at www.holigos.com and receive 30% off your purchase of Holigos IBS by using the code TryHoligos30 at checkout! Some possible adverse reactions include hereunder mild gastrointestinal symptoms such as gas/flatulence, bloating and rumbling can occur initially. 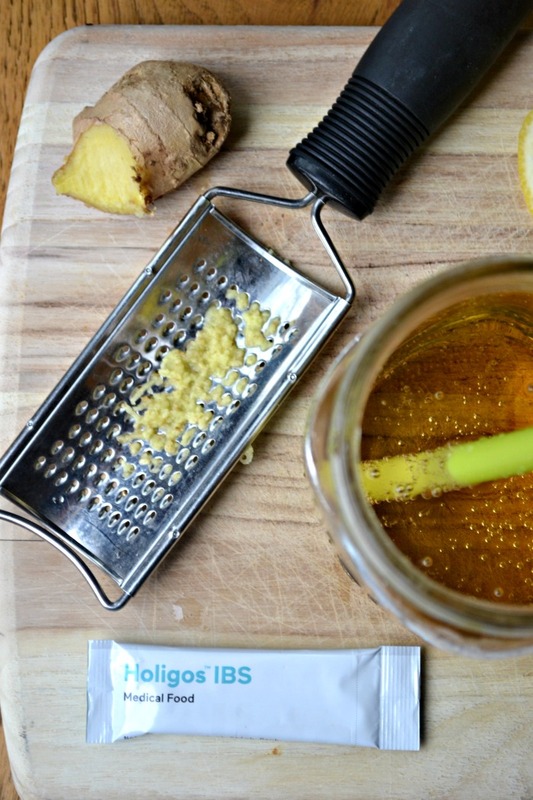 Making this homemade ginger-ale was easy. And you do not need a CO2 tank in your basement to make this, you can use store bought club soda too! 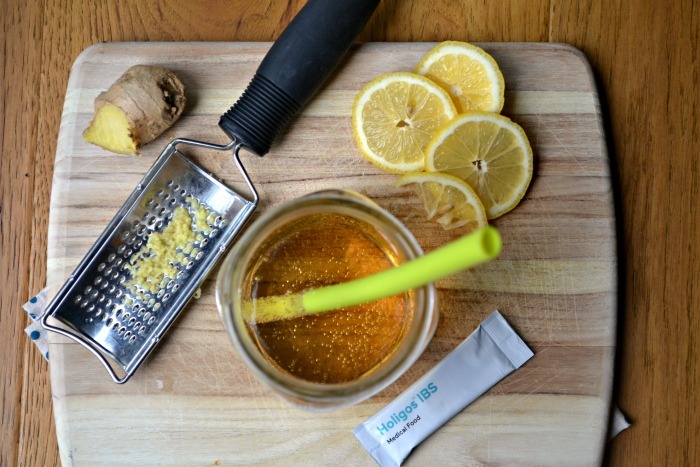 In a saucepan, over low heat, combine ginger, lemon juice, lemon peel, and sugar. Simmer for about 20 minutes, or longer if you want your syrup to be more concentrated. 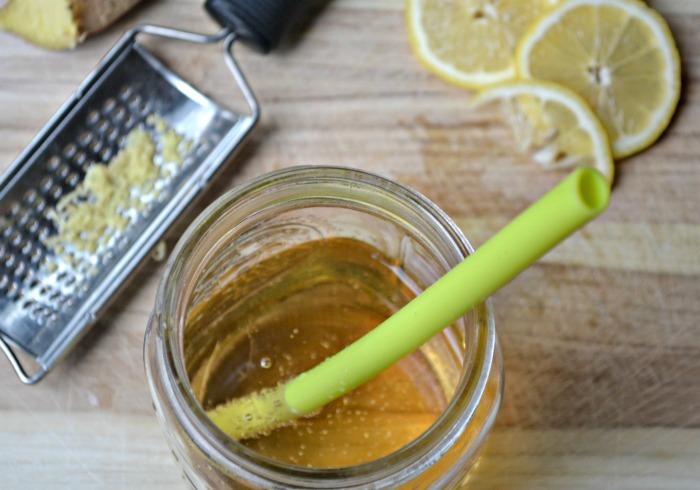 Remove from heat and put the syrup through a strainer, so the pieces of ginger and lemon peel are disregarded. Store the syrup in a mason jar or another container. Let syrup cool before adding it to any drinks. Make each glass of ginger ale at a time. Add a few tablespoons of syrup to 16 ounces of fizzy water and stir. 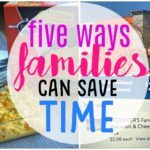 Don’t forget to check out more info by visiting their website. 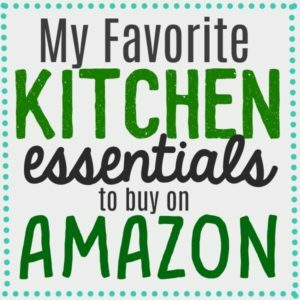 On their website, you will find more testimonials, nutrition information, instructions for use and more information regarding the product.